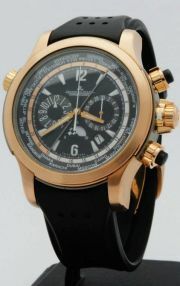 Jaeger Le Coultre Jaeger LeCoultre Master Compressor Chronograph Valentino Rossi Rose Gold Limited Edition 46mm. Igazi értékálló gyűjtői darab! 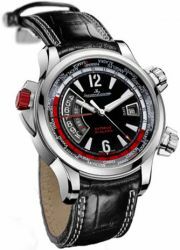 Jaeger Le Coultre Jaeger LeCoultre Master Control Memovox Reveil Alarm. Igazi kuriózum. Fekete, vagy Barna borszíjjal egyaránt. Igazi gyűjtői darab, mely nem csak értékálló de gyönyörű karóra is egyben. 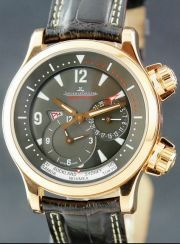 Jaeger Le Coultre Jaeger-LeCoultre Master Compressor Memovox 18K Rose Gold -50% Kedvezmény !!!!!! 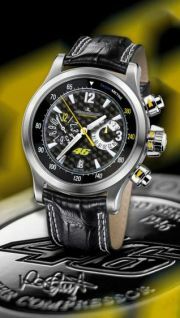 Jaeger Le Coultre Jaegere LeCoultre Master Compressor Extreme W-Alarm 46 Valentino Rossi Limited Edition. 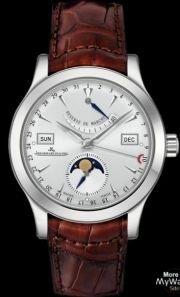 Jaeger Le Coultre Jaeger LeCoultre Master Calendar Moon Phase akcióban. 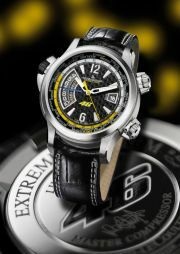 Jaeger Le Coultre Jaeger LeCoultre: Master Compressor Extreme World Chronograph Special edition, Árgarancia!! 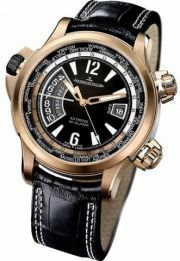 Jaeger Le Coultre Jaeger LeCoultre Master Compressor Extreme World Rose Gold Valentino Rossi Edition. 18k Vörösarany svájci karóra. 246 db-os limitált kiadás. Egy utolsó darab érkezett. 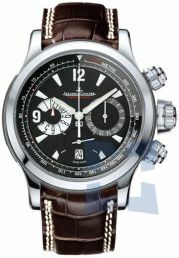 Jaeger Le Coultre Jaeger LeCoultre Master Compressor chronograph karóra -45 % kedvezménnyel. 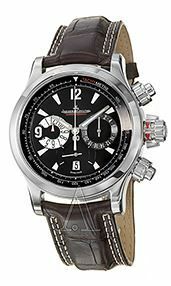 Jaeger Le Coultre Jaeger LeCoultre Master Compressor chronograph -40% kedvezménnyel. 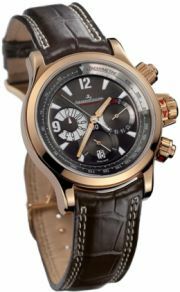 Jaeger Le Coultre Jaeger LeCoultre 46mm Master Compressor Chronograph Valentino Rossi Rose Gold Limited Edition. Igazi értékálló gyűjtői darab! 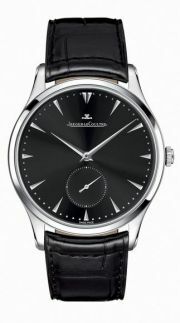 Jaeger Le Coultre Jaeger-LeCoultre Master Grande Ultra Thin Automata 41mm / Csak 1db, nagy kedvezménnyel!! 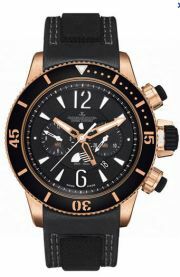 Jaeger Le Coultre Jaeger LeCoultre Master Compressor Chronograph Valentino Rossi Rose Gold Limited Edition. Igazi értékálló gyűjtői darab, csak nálunk -40%kedvezmény. 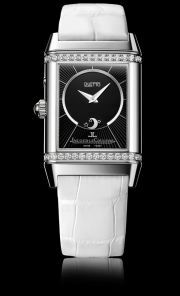 Jaeger Le Coultre Jaeger-LeCoultre Reverso Duetto Ladies Mother of Pearl 32 Diamonds, gyöngyház számlap gyémántokkal. 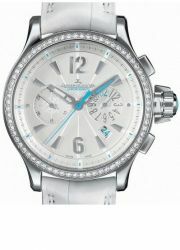 Jaeger Le Coultre Jaeger Master Compressor Chronograph Lady. Gyémánt Lünetta.Fekete számlap.Hatalmas kedvezménnyel.-50% kedvezmény. 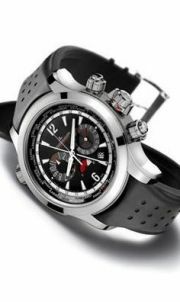 Jaeger Le Coultre Jaeger Master Compressor Chronograph Lady. 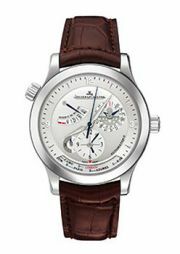 Gyémánt Lünetta.Hatalmas kedvezménnyel.-50% kedvezmény. 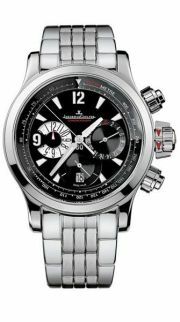 Jaeger Le Coultre Jaeger Le Coultre Master Compressor Automatic Ladies -62% kedvezmény!! 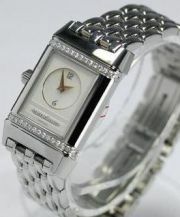 Jaeger Le Coultre Jaeger Le Coultre Reverso Ladies 18k arany karóra gyémántokkal. Egyedi áron. Akcióban, árgarancia!!! -58% kedvezménnyel!!!!! 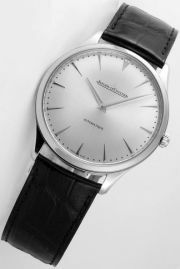 Jaeger Le Coultre Jaeger-LeCoultre Amvox2 DBS Q192T450 Limitált kiadás 999 példányszám. 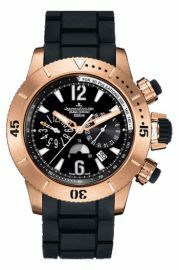 Jaeger Le Coultre JAeger-LeCoultre Master Compressor Extreme World Rose Gold Valentino Rossi Edition. 18k Vörösarany kiadás.246db-os limitálás. Bőr, és kaucsuk szíj is mely gombnyomásra cserélhető. 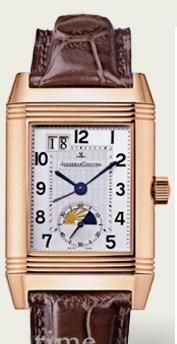 Jaeger Le Coultre Jaeger LeCoultre Reverso Lady Q2611410 18k Arany karóra. Nálunk a világon a legnagyobb kedvezménnyel, Árgarancia!!! 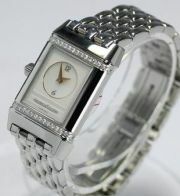 Jaeger Le Coultre Jaeger LeCoultre Reverso Duetto Duo Q2698120. A legszebb acél reverso női karóra. -50% kedvezménnyel. 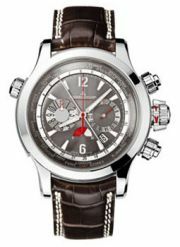 Jaeger Le Coultre Jaeger - LeCoultre 178.24.70 Master Compressor Diving Chronograph GMT Navy SEALs Limitált kiadás,-45 % kedvezmény. !!!! Árgarancia világszerte. 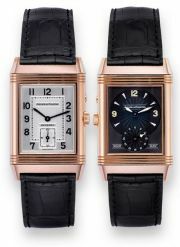 Jaeger Le Coultre JAeger LeCoultre Reverso Duoface 18k Rosegold Night & Day Egyedi kedvezménnyel-48 % kedvezménnyel. 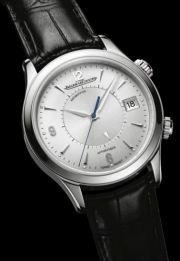 Jaeger Le Coultre Jaeger LeCoultre MAster Control Grand Reveil. Árgarancia. 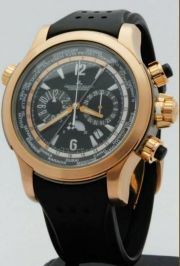 Jaeger Le Coultre Jaeger-LeCoultre Master Compressor Diving Chronograph GMT Navy SEALs 18k Gold limited edition. csak nálunk az 500 db-os limitálás. 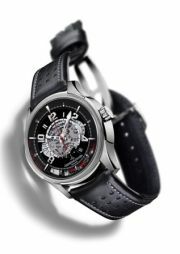 Jaeger Le Coultre Jaeger LeCoultre Master Compressor Chronograph Ladies Q1748411, gyémántokkal. 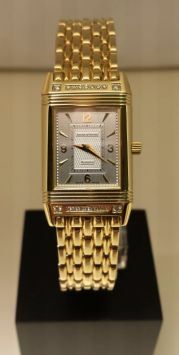 Jaeger Le Coultre Jaeger LeCoultre Reverso lady classique árgaranciával. 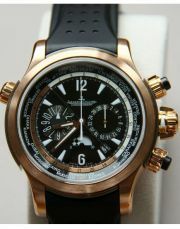 Jaeger Le Coultre JAeger Le Coultre Master Compressor chronograph 18k rosegold special edition. 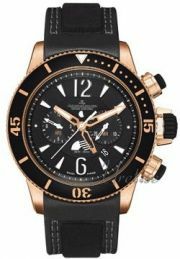 Jaeger Le Coultre JAeger Le coultre Master Compressor Diving Chronograph Special -edition 18k Rose gold kiadás. 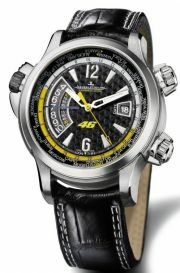 Jaeger Le Coultre Jaeger Le Coultre Jaeger-Lecoultre Master Compressor Extreme W-Alarm Valentino Rossi limitált kiadás 946 példányszámban kiadva. 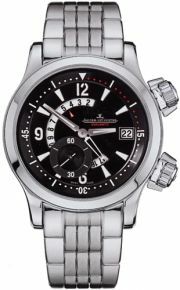 JAEGER-LeCoultre Master Compressor W-Alarm Listaár: 12 600  | Akciós ár: 6990  Referencia szám: Q1778470 Product Details Item number: 177.84.70 Brand: Jaeger-LeCoultre Style Number: Q1778470 Also Called: 1778470, Q177.84.70 Series: Master Compressor W-Alarm Style (Gender): Mens Case: Titanium Dial Color: Black Movement: Self winding mechanical (Automatic) Engine: Jaeger-LeCoultre Calibre JLC 912 (28,800vph, 315 parts, 28 jewels) Functions: Hours, Minutes, Seconds, Alarm (unique juxtaposed 2-disc minute and hour system visible through dial aperture at 9), Date (Rapid date change via anti-clockwise crown turn  crown at 2), World Time Crystal: Sapphire Crystal  Cambered, Anti-reflective Case Diameter: 46.3 mm Case Thickness: 16.7 mm Bezel Material: Titanium Bezel Function: Fixed Mass: 193.0 g Water Resistance: 100m / 330ft (suitable for swimming and shallow snorkeling; unsuitable for diving) Crown: 3-crowns (Titanium and Red) Calendar: Automatic Date at 3 Power Reserve: 45-hour power reserve Watch Bracelet / Strap: Alligator  Black with white stitching Watch Clasp: Brushed Folding Clasp Watch Bracelet Length: 8.5 inches Watch Bracelet Width: 19.5 - 22.0 mm Additional Info: Despite the massive case, the alarm buzz is clear and easily audible, quite a feat given its large size. JLC achieves this by running the gong around the circumference of the movement, instead of attaching it to the caseback as in earlier Memovox alarm watches. 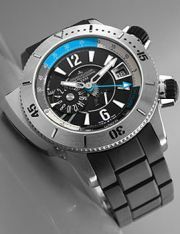 This layout is more akin to a minute repeater than an alarm watch. Even when the alarm is at full wind, it can be deactivated simply by depressing the push piece around the 10 oclock city crown. 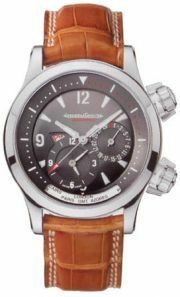 The acoustics within the case have been optimized to ensure a powerful and harmonious tone with consistently identical intensity and tone, whether the alarm watch is being worn or not. 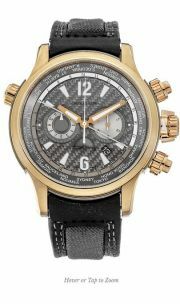 Local hour and minute hands, trapeze-shaped gold-plated, openworked, luminescent. 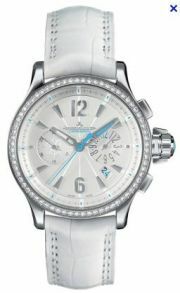 Crown at 2 controls the alarm function and rapid date correction in counter clockwise direction. 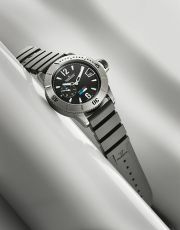 Crown at 4 starts the watch, adjusts time; crown equipped with a compression key. 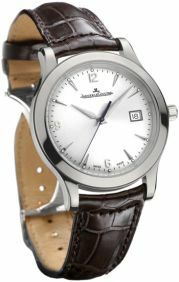 Crown at 10 to display world time, Double-sided push-piece at 10 to start/stop the alarm. 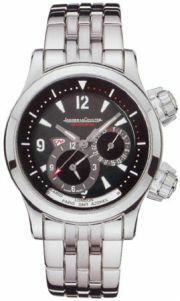 Jaeger Le Coultre Jaeger-Le coultre Master Compressor Extreme W-Alarm 2010-es módosított megjelenés. Csak nálunk kapható. Beszerzése kedvezménnyel lehetetlen. 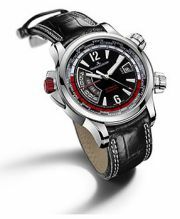 Jaeger Le Coultre Jaeger-LeCoultre Master Compressor Diving GMT 1500-as limitált kiadás. -45 % kedvezmény. Ekkora kedvezménnyel beszerzése lehetetlen. Árgarancia. 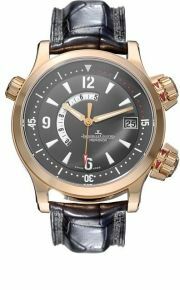 Jaeger Le Coultre JAEGER LECOULTRE MASTER COMPRESSOR GEOGRAPHIC akcióban, csak 1 db.51% kedvezménnyel, vörösarany kivitelben, v adonatúj. 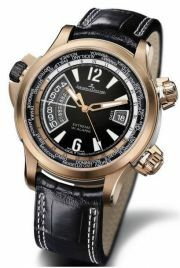 Jaeger Le Coultre Jaeger Master Geographic,49% egyedülálló kedvezmény. Csak 1db, vadonatúj. 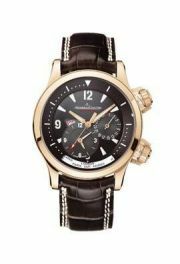 Jaeger Le Coultre Jaeger Reverso Grand Automatic 18k Rosegold Egyedülálló -50 % kedvezmény. 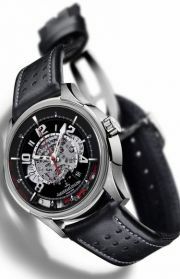 Jaeger Le Coultre Jaeger-Lecoultre Master Compressor Extreme W-Alarm 2008-as megjelenés. Csak nálunk kapható. 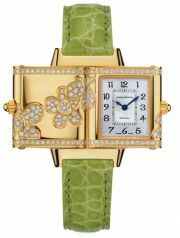 Jaeger Le Coultre Jaeger LeCoultre Reverso Florale Ár miatt hívj. 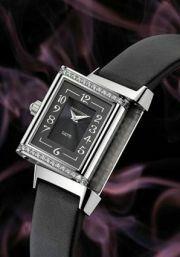 NEW REVERSO AUTOMATIC! 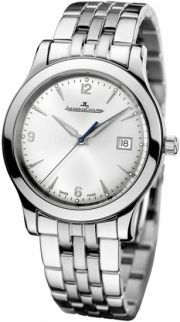 Silver Guilloche Dial, Double Window Big Date displayed at the top left corner, Sub-dial Seconds Hand at the 6 o'clock position with inset AM/PM or Day/Night indicator. 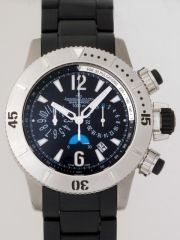 Also features an addition atime zone indicated by the addition silver hour hand (the current is indicated with the with the Blue Hour & Minute hands). 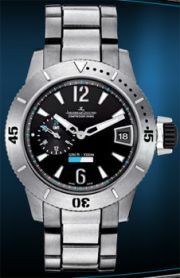 Case reverses to a solid steel plate which can be personalized or engraved. 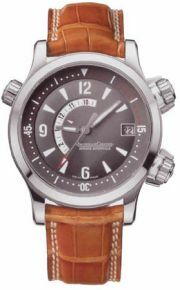 18kt White Gold Case, Honey Brown Crocodile Strap with RG Deployment Buckle, Grey Dial, Automatic Movement, Features a Second Time Zone Function indicated at 6 o'clock position (with a Quick Set Adjustment crown) & AM/PM Mode Indicator, Date Indicator at the 3 o'clock position: Regular Time & Date setting functions are set by the bottom crown. 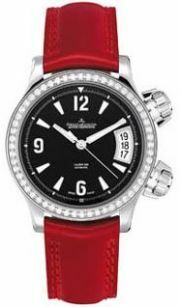 Water Resistant to 100m/330ft by a revolutionary new patented design - Although the crowns are not "screw down" they are equipped with an external butterfly collar that turns 1/2 turn clock-wise & counter clock-wise (independently of the crown), each collar has red & white enamel indicating arrows. 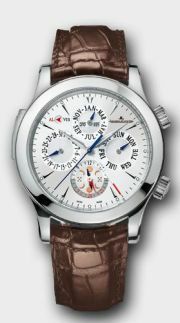 White arrow indicates the crown is secure/water resistant, Red Arrow indicates the crown is non-secure/non-water resistant. 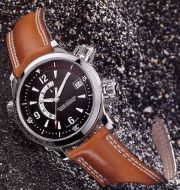 When the collar is in the secure position it compresses a gasket that ensures water resistance. 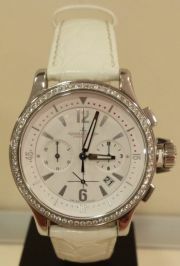 Luminous hands & hour markers, Sapphire crystal, Solid case back. 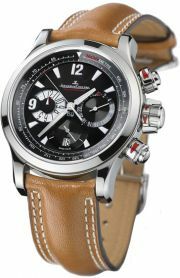 Diameter - 41.5mm, Thickness - 13.9mm. 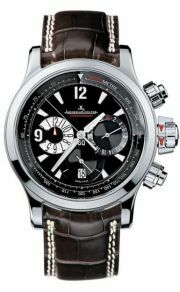 patented shock absorber system protects the brand new automatic chronograph movement from vibrations and shocks including the most extreme uses. 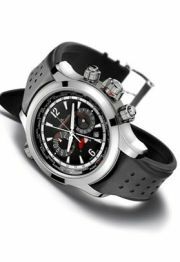 This innovative watch boasts an instant display of the time in 24 time zones as well as a quick and easy wristband change system allowing one to switch from rubber to leather versions in the blink of an eye.